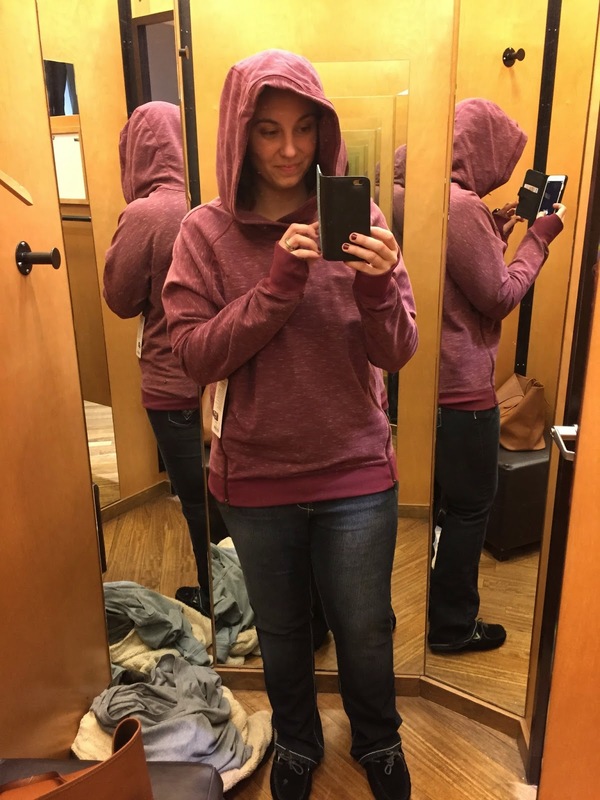 Just Keep Sweating: JKS Makeover & Weekend Recap! This weekend was full of new things, including a makeover here on Just Keep Sweating! I am so thankful I chose to work with Jane of Poppiness Designs, she was able to take my very poorly explained vision and make my little corner of the internet somewhere I want to be. I started my day bright and early with a 6 am Energy HIIT class at my gym. We did a lot of heavy weight lifting and it felt great to have my workout out of the way before 7! After work I took a little adventure to Arlington to do some Christmas shopping. Little did I know I would end up finding more gifts for myself then for others, whoops! Walking into LuluLemon is always dangerous, I almost made it out of the store empty handed until I found the sale rack. This sweatshirt was right there waiting for me, knowing I couldn't resist. It was originally priced at $118 but I ended up taking it home for $49! 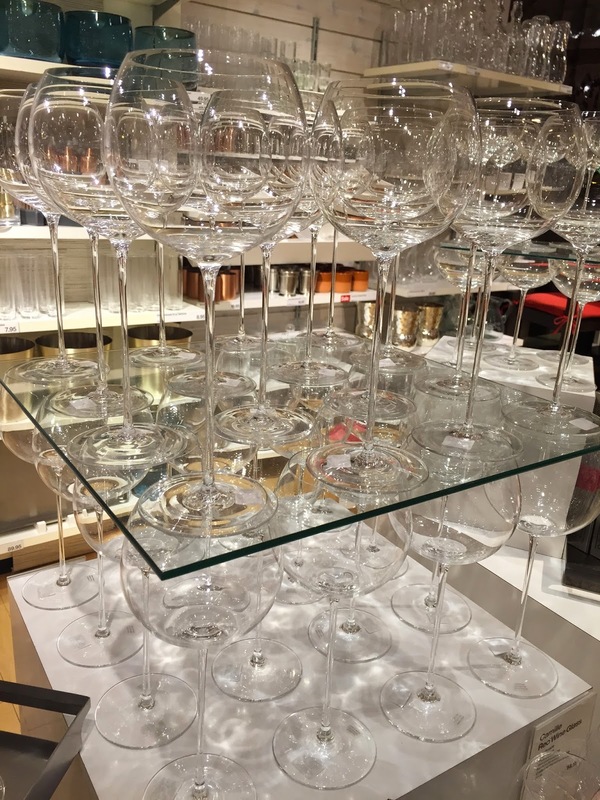 After doing damage at LL I popped over to Crate and Barrel. I am hosting Christmas Eve and Christmas at my place so I am constantly on the hunt for more festive decor [ not that we can fit anymore in our house at this point] While looking I came across the "Olivia Pope" wine glasses, Scandal fans you know what I'm talking about. They are just as beautiful in person as they are on TV, but with their long, thin stems I decided it was best to leave them behind because I would probably break them before even getting out of the store. I did however find myself my new favorite mug. I regret not picking up more then one because it's the only mug I want to use now! 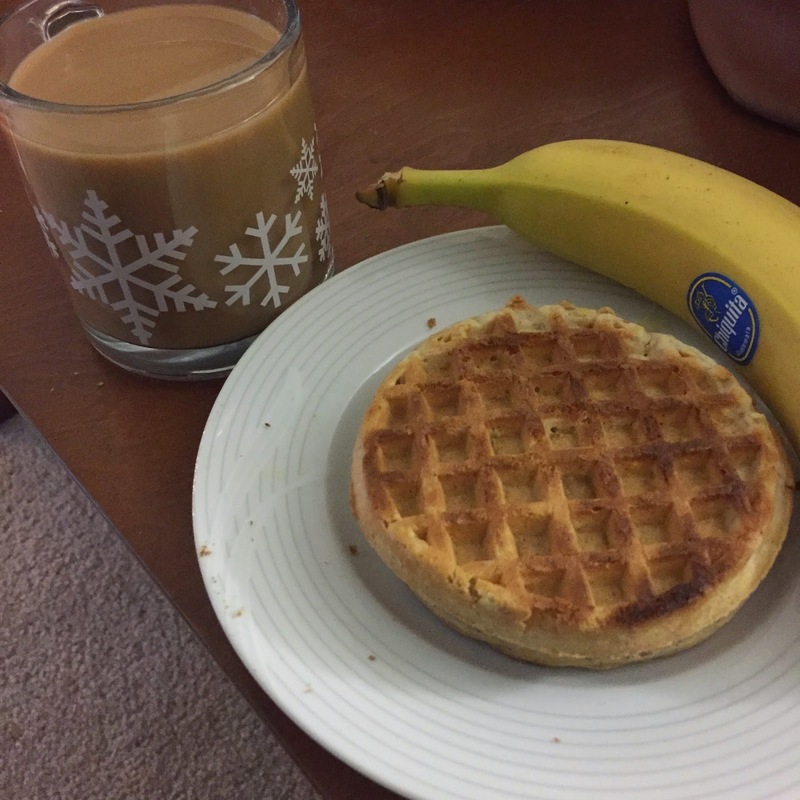 My gym class on Saturdays doesn't start until 11:45 so I took the extra AM time to go to the food store and make myself a nice hearty breakfast. This almond butter is probably the greatest thing to ever exist, if you find it you need to buy it, you will not be sorry. I took my very first combat boxing class and holy moly it was the hardest workout I've done in years. I felt so out of shape, but it also left me craving more. I love a good challenge and this definitely gave me even more motivation to try new classes at my gym. You can see the exhaustion in my face. The rest of the day was spent happily on the couch watching Parks and Recreation, and catching up on American Horror Story Freakshow. Did anyone see this weeks episode? OMG it was intense. 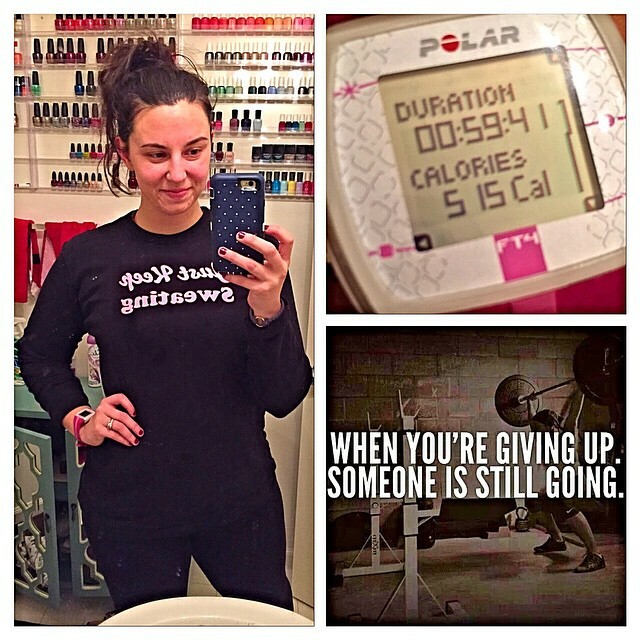 Another workout bright and early, this time I took Tabata which has quickly become my favorite workout. For the first time since before my knee surgery I was able to do burpees, while this is probably everyone's least favorite workout move, I was thrilled because it meant MAJOR progress. After the gym I picked myself up some new fitgear in the form of pink boxing gloves. I was instantly hooked on the class I tried Saturday but didn't love the idea of putting on the gyms gloves, sweaty germs? No thanks. Plus I'll take any excuse to buy something pink! Eddie and I have made a vow to go to new places every week since moving to Alexandria. This week we went to the DogFish Head Ale House and it did not disappoint. Being a good sport, I went for a beer sampler and out of the four I tried I fell in love with the "American Beauty" IPA. Eddie snapped this candid shot of me trying his choice, 61, which ended up being my second favorite of the four. After filling ourselves with lots of yummy, but bad-for-you foods, we went home and watched Horrible Bosses. My first time, his second and we both loved it. Our night ended with watching " Eaten Alive," which was the biggest waste of two hours of my life, I should have stuck with my original plan of watching Elf! I love Dogfish Head beer and their brewhouse is great! 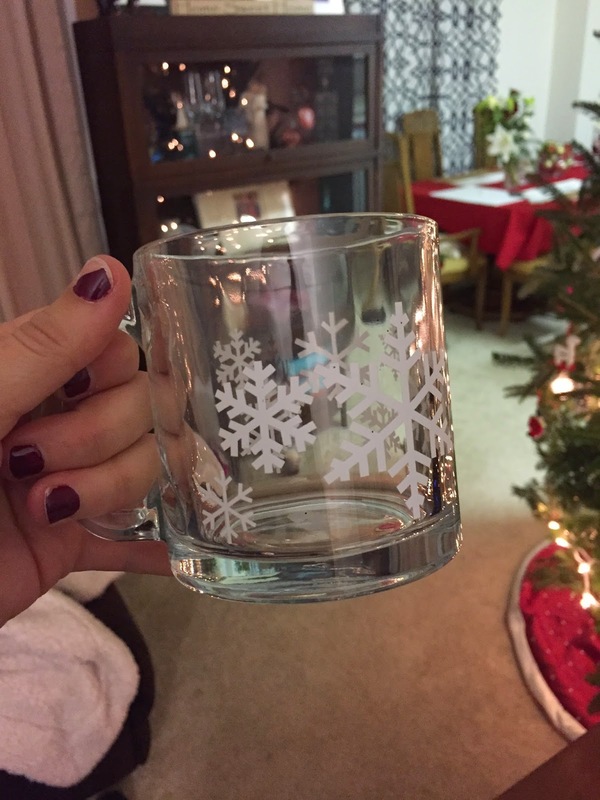 The snowflake mug is awesome! Thanks for the shout out! It was so fun working with you. And jeez you had a busy weekend! I SUPER love the pink boxing gloves. How fun!